On Monday, Reuters reported that the France family is considering a potential sale of NASCAR, which is valued at more than $3 billion. Should the Frances sell part of the industry, it would change the sport forever. Up to 40 percent of NASCAR could be sold, and it’s difficult to say what impact this could have on American auto racing. The France family will never wholly abandon what it has spent the last seven decades creating — let’s make that clear. But who would be willing to put up the billions of dollars necessary to take less than half of the ownership? I have no idea. Liberty Media, which has controlled Formula One the last two years, has no interest. “NASCAR is a fairly different franchise for us,” Chase Carey, who runs Formula One for Liberty, said. “You look at the fan base; the regionalization of it in the U.S. is not really even a broad-based U.S. sport. NASCAR is changing rapidly. Since 2012, the cars evolved into Gen-6 vehicles, and qualifying formats have become groups and rounds instead of single-car attempts. The championship format is now elimination-style, races are broken into three stages. Monster Energy is the Cup sponsor, the Truck Series will be entitled by Gander Outdoors next year, and ARCA is now NASCAR’s property. Oh, did I mention there’s a whole slew of drivers in their twenties replacing the likes of Jeff Gordon, Tony Stewart, Dale Earnhardt Jr., Carl Edwards, and Greg Biffle? This sport was dramatically different five years ago. I wonder what it might look like five years from now. On Thursday, city commissioners approved a Formula One race to take place through Miami’s streets. Despite citizens petitioning the event because of the noise pollution and road closures the race will cause, the Miami City Commission gave its unanimous approval. It’s reported that the deal is for 10 years. Liberty is continuing to promote its series in the U.S. The States will have two races for the next decade. All F1 events are aired on ESPN, which should lead to a boost in American television ratings. The sport’s biggest star, Lewis Hamilton, considers the U.S. as his second homeland and spends a tremendous amount of time with American celebrities. When he’s not racing in Europe, he practically lives on this side of the Atlantic. Hopefully, the Miami street circuit will be a successful venue. Stephen Ross, who owns the Miami Dolphins NFL franchise, has been an avid supporter of the city hosting a Grand Prix. “I am confident we can deliver yet another global event that will be a destination for people from around the world and drive economic value to South Florida. From football and soccer to tennis and motorsports, Miami deserves only the best in music, food, art, fashion and sports and entertainment,” Ross said. It can be challenging to put on an entertaining race on street courses, which are narrow and tight by nature, but I suppose Miami and F1 officials have about 16 months to worry about that. Let’s hope Ross is right. The last time we saw @mattkenseth pilot a @roushfenway entry in Kansas? Kenseth won’t win on Saturday night. He hasn’t been in a racecar since November, and he’s in second-tier equipment compared to what he raced the last few years with Joe Gibbs Racing. If he finishes in the top-15, I’ll consider that a good race. Trevor Bayne has looked horrendous since taking over the No. 6 Ford in 2015. Kenseth is an established veteran whose goal is to improve RFR’s performance. I think he’ll do that. 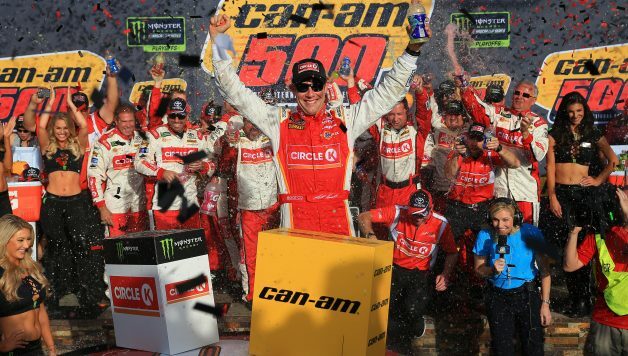 He and Bayne will split the ride for the rest of the year, but what happens in 2019? Does Kenseth pull a Mark Martin and return to full-time competition? Does Bayne return to the No. 6? Does RFR release Bayne? My prediction: Kenseth goes full-time next year in the No. 6. 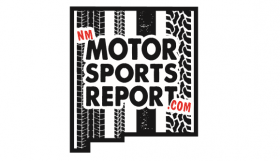 Bayne will land a ride with a less-competitive team (i.e., Front Row Motorsports, etc.) or he goes to the Xfinity Series. 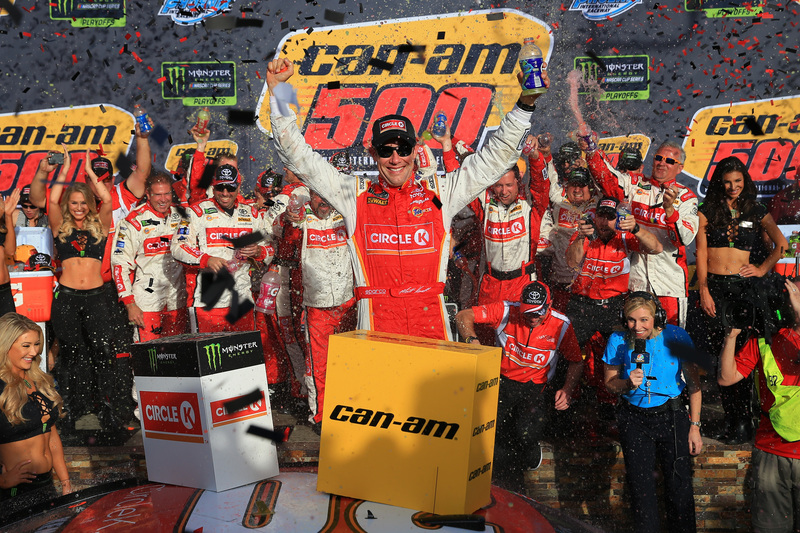 Advocare has been a supportive sponsor for the 2011 Daytona 500 champion since 2014. It all depends on whether the company wants to continue to fund Bayne’s racing career.